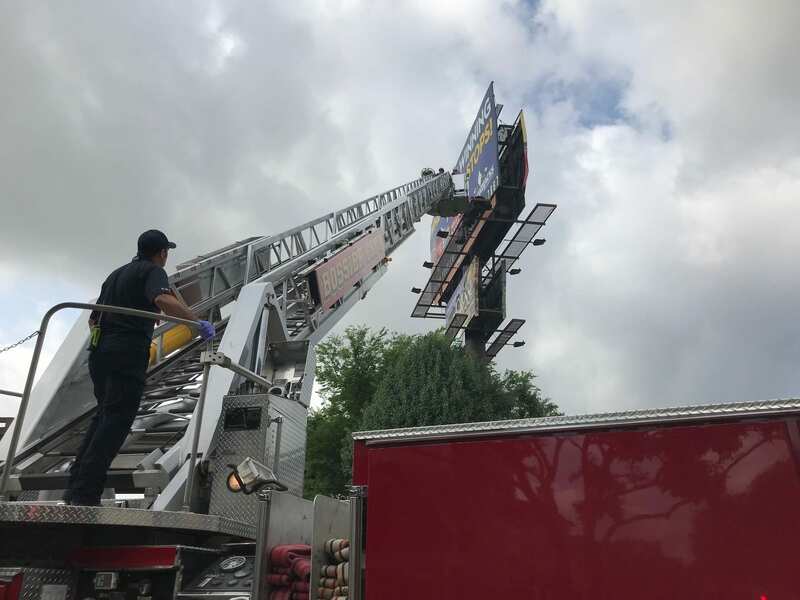 Bossier City Fire Department personnel put their training to the test Friday morning when they were called to rescue a man off a billboard. At approximately 9:00 a.m., firefighters were called to the scene behind the Lacrosse Apartments in the 100 block of Crossroads Drive in reference to a man who was having a medical emergency while he and another man were working high above the ground on a billboard. 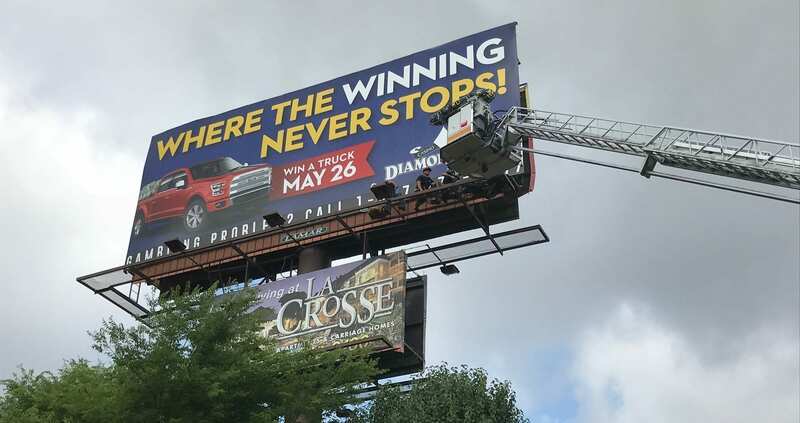 Although responsive, the man’s condition resulted in him being too weak to climb down on his own so fire crews had to utilize their high angle rescue skills to get him off the billboard and to a hospital. Upon arriving on the scene, paramedics rushed to the man’s aid by climbing a ladder to reach him on a platform approximately 50 feet above the ground. The man was wearing his safety harness so there was no risk of him falling however firefighters had to figure a way to get him down. BCFD’s Ladder 1 – a 100 foot aerial ladder truck – was put into service. Crews were able to get the man safely down in the ladder truck’s bucket within a few minutes. The man was responsive the entire time and taken to a local hospital for treatment.